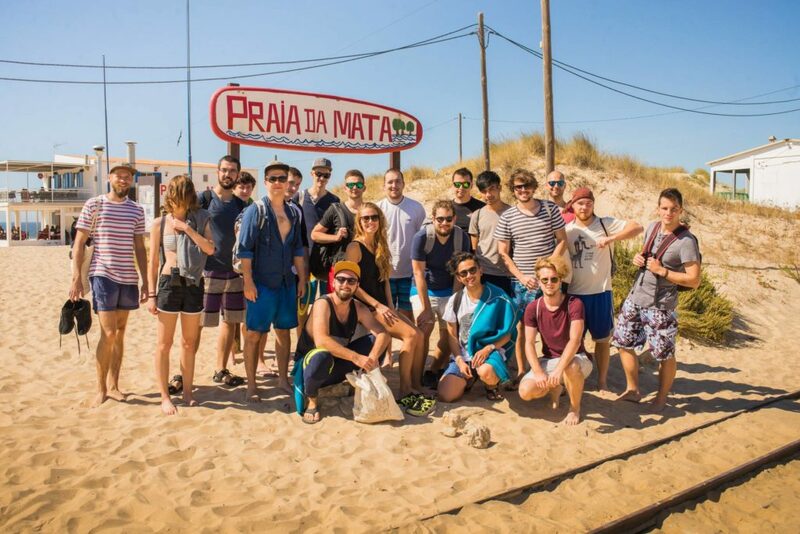 Take your team away to Lisbon for a few days and combine all the great things – fresh air, new environment of a beautiful city, sightseeing and team building activities tailored specifically to trigger new ideas and uncover hidden creativity in your team. Lisbon’s colorful streets are packed with inspiration and a little systematic approach will allow you to enjoy it to the fullest while increasing your team’s motivation and productivity. Surfing is our most popular team building activity in Lisbon. It doesn’t matter if everybody in the team has zero experience – it’s a fun and unforgettable day out! Each lesson of 2 hours covers the equipment (surfboard and wetsuit), experienced surf instructor and insurance. Lessons are at Costa da Caparica. We’ll take you to Sintra, the awe-inspiring viewpoint at Cabo da Roca, the most western point of Continental Europe, the beach town of Cascais, and one of the best and unexpected hidden views in Lisbon to finish the day, giving you a real taste of this picturesque country. Why not explore the centre of Lisbon and enjoy great moments within a big city? Discover some of the city’s most elegant squares and it’s historic areas. See the highlights, experience history and enjoy the atmosphere. You become acquainted with different highlights, taste the local atmosphere and get the best insider tips from the excellent guide, thus quickly getting to know the city. Discover the city in a fun and environmentally friendly way. These sailing boat tours are the perfect way to discover Lisbon from the best perspective. From our boats, you’ll have a very nice view over the city and its most emblematic monuments. This is the only cooking class in Lisbon that takes place inside a real working kitchen of a bakery near Bairro Alto. Learn how to bake authentic Portuguese Custard Tarts, from pastry rolling techniques to making custard from scratch and bake it all inside a professional oven. Let’s go “backstage” at Lisbon’s very first craft brewery in the Marvila neighborhood. This tour lasts about one hour, during which you will see from the first row how beer is made. The tour includes 4 beer tastings of 12cl, to be enjoyed while learning and walking around the production area. In the end, you can choose to try other beers and food at the brewery’s lively tap room. 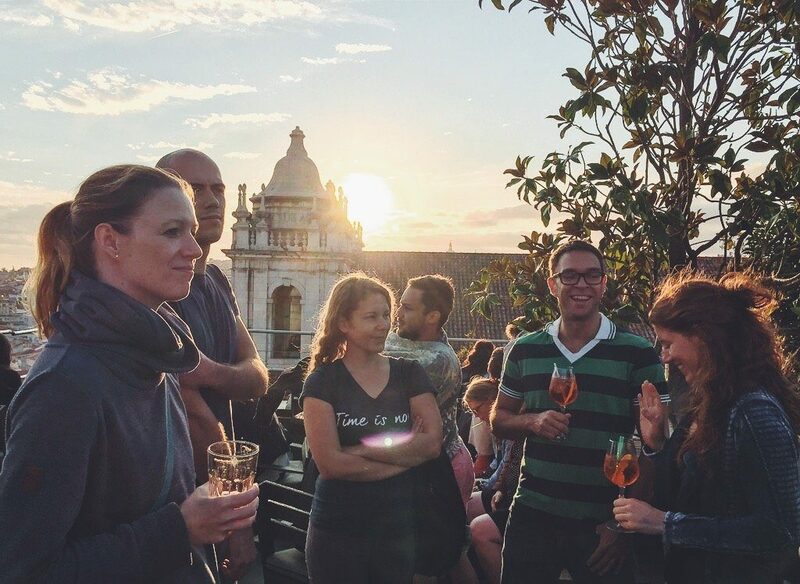 A brief description of the history of the city, to understand who were civilisations that came over and the cultures that founded the city, why Lisbon has so many faces, how the city has changed and what are the typical drinks and food that define the city’s culinary tradition. The teams walk through the historic streets, among the most famous monuments as well as beautiful hidden places and cooperate inside the teams. It is a great way how to get to know the city in a fun way. Treasure hunt is a perfect activity for large groups. You will learn all the secrets of some of the most traditional Portuguese recipes with a local chef/instructor in a cosy and fun environment. By the end of the class you will know how to prepare a traditional Portuguese fish dish, meat dish and a dessert that will delight your senses. Then you will sit down and enjoy the meal you have prepared with your new foodie friends together with excellent Portuguese wines. Discover and get intimate with two of the richest expressions of the Portuguese soul: the food and Fado music! Our local expert will take you places, three authentic Lisbon settings you are very unlikely to end up in otherwise, and offer you a taste of the highest quality Portuguese dishes, all the while supporting the vibrant soulful music scene. Explore Lisbon’s art and get to know the city from a whole different perspective. Portugal is ranked in the top 10 countries for outstanding street art. Lisbon’s decorated walls are without a doubt the true hidden artistic beauty of this beautiful city and we want to share this with you on this tour. @elisedarma is a "travel-preneur", traveling the world and managing her digital agency remotely. She will spend next few days in Surf Office Lisbon while curating our Instagram account.